Dropbox hosted their first developer conference called DBX this month and they had some exciting news for developers. Dropbox released their API (Application Programming Interface) for developers which will allow developers to build apps that can store program level data on Dropbox and retrieve them. Dropbox calls them Datastores and as Houston says it’s “Dropbox’s way of moving beyond files and storing other information”. The Datastores will run in the background and will constantly sync up program level data to the cloud from whichever devices the program is running. Thus when a user switches between devices the program will always remember it’s latest state. Imagine you are building an app like Angry Birds for multiple devices. Now if you take advantage of Dropbox API you can give the user a seamless experience of playing the game when he switches between devices. For instance let’s assume a user is playing the game on his smartphone while commuting from work. However when he reaches home he wants to continue playing the game where he left off on his smartphone. By storing the program level data such as level, score, etc on Dropbox you can allow the user to do exactly that. And the best part is you don’t have to implement all these features from scratch. You can simply take advantage of the Dropbox API. I think this is a smart move by Dropbox to tap into a new market. 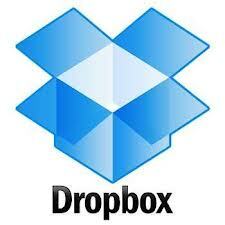 Dropbox have been hugely successful in the consumer market with more than 175 million users worldwide. Now with Datastores they are hoping to do the same in the developer (Business to Business) market. This will also create a new revenue stream for the company as other app developers and companies take advantage of this feature they would need more and more cloud space and I am sure Dropbox won’t be providing that space without charging. As Dropbox CEO Drew Houston puts it “We are replacing the hard drive, I don’t mean that you’re going to unscrew your MacBook and find a Dropbox inside, but the spiritual successor to the hard drive is what we’re launching.” With Datastores they are one step closer to this vision.